I wanted low priced speakers. It came with a bass speaker and extra piece to connect phone or mp3 players for music. The sound can get a bit muffled when the bass is used too much but other than that they have nice crisp sound for their price. Got these for my birthday this year. I'm very pleased. 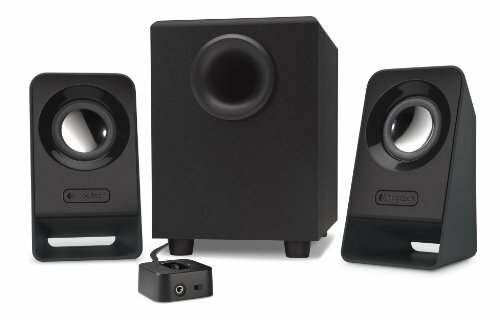 For $25, these are great speakers. My only complaint is that the 3.5mm jack speaker wire isn't long enough to reach the subwoofer on the floor when the speakers are 4 feet apart. Get a simple 3.5mm extension cable if you need to. Cheap and loud enough for me. The sound quality is pretty standard. Being 2.1 channel was a real selling point for me, as I had only owned 1 and 2 channel PC speakers previously. These have lasted me years. If you just need something decently priced that works well for simple home use, these are good. If you're going for something a bit more intense it's likely to cost you much more than these little things. 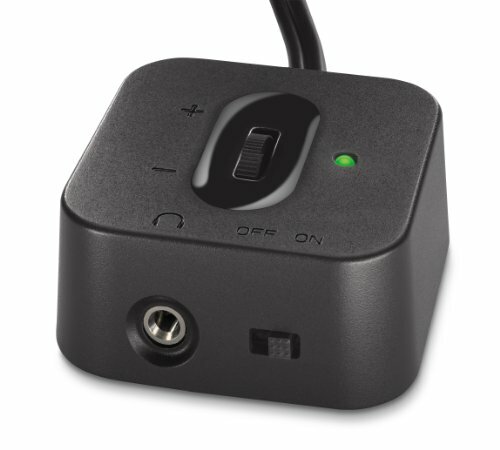 Edit: The little volume control is helpful, although it can slide around on smooth surfaces. I recommend either replacing the foam feet with rubber ones or just putting a Velcro strip on the bottom to mount it on your desk. These speakers sound real nice. I had some other ones before but they broke so I needed new ones. Bought these on a whim at Micro Center one day, mostly cause they were 25. Surprisingly good sound quality from such small speakers. Really nice speakers. My first subwoofer in a speaker set from what I can remember. The bass is nice, but lacking compared to more expensive options. Audiophiles, this isn't quite what you're looking for. For basic use and listening to some music, however, it sounds plenty good enough for what I spent on them. These are the best speakers for less than $30 that I've ever owned. 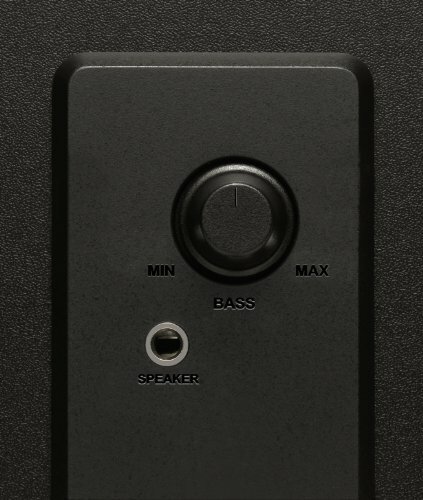 The volume knob on the desktop piece is great, I often use it to tune the audio. The on/off switch on the piece and 3.5m pass-through is also useful. The only concern I have is that the cable from the sub-woofer to the speakers are too short, they only allow you to have the speakers on the desk, and not a shelf above like I wanted. However, the speakers look great and sound well with decently crisp audio.